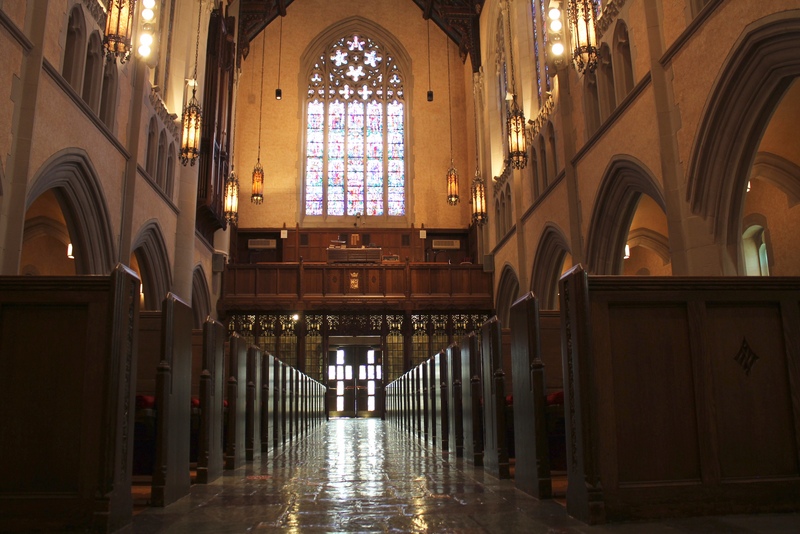 The organ of Historic Trinity Lutheran Church, designed and built by the Ernst Skinner Company, is a rare gem in a magnificent setting. 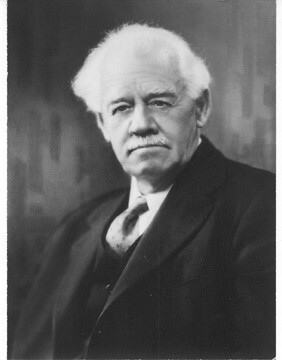 Ernst Skinner was regarded as the premier organ builder of his day and, indeed, the most prominent American builder of his time. Skinner was the best of the American organ builders of the early 20th century. His instruments are characterized by a lush, romantic sound, rich in beautiful string stops and other orchestral imitations. Organists during these years were more concerned about playing historical organ literature and less concerned about playing orchestral transcriptions. The donation of the new Historic Trinity Lutheran Church by Charles Gauss was announced in 1929. The final selection of the organ builder fell to Mr. Gauss in 1930. The first organ builder made his presentation, saying that he could build an organ which wouldn’t cost as much, but would sound just as good as a Skinner organ. The second builder made the same argument in his presentation. At that point, Mr. Gauss, who knew very little about organs, but a great deal about business, simply put his fist down on the table and announced that he would then have a Skinner organ. The decision was made. The incident is documented in Pastor Otte’s own handwriting as preserved in Historic Trinity’s Dau Library. The decision to purchase an organ built by Ernest M. Skinner was a good one. Historic Trinity’s instrument was built after Skinner had studied with an organ builder named Willis in England, and so was built as a miniature English cathedral organ. Historic Trinity’s organ is Skinner’s Opus 808 of 3-manuals, 31 ranks, 5 divisions, with chimes made by Skinner. The main organ is housed in the front bell tower, with the Echo Division in the smaller Luther Tower to the west of the chancel. It is a medium-sized organ, appropriately scaled to the size of the room. The instrument is very rare because so few Skinner organs have survived in their original state. This instrument is one of the most admired of all pipe organs – an original, unaltered E. M. Skinner organ. Few of these remain anywhere is this country, and an organ of this size and era are extremely rare. Ernest M. Skinner, the builder of Historic Trinity’s organ, was born in 1866, the son of two opera singers. He was probably born in a hotel in Clarion, PA, where his parents were staging an opera. He grew up in Taunton, MA, where he pumped the bellows at the Unitarian Church. Ernest attempted to build his first organ at the age of 12. It did not work. He was eventually apprenticed to a local organ builder, starting his own shop in Boston in 1900. Skinner, who preferred Wagner to Bach, felt that the first priority of his early organs was to imitate orchestral sounds. It was only in his later organs that it became important for an organ to sound like an organ. Skinner was a constant tinkerer, always determined to improve his products. His obsession with excellence got him the contracts to create most of the important instruments of the 1920’s including huge organs at Woolsley Hall, Yale University; the Cathedral of St. John the Divine, NYC; the National Cathedral, Washington, D.C.; and Rockefeller Chapel, University of Chicago; Air Force Academy in Colorado, Hill Auditorium, Ann Arbor and Ford Auditorium, Detroit (removed). Skinner took on a young English partner, G. Donald Harrison, in 1927. Harrison followed new tastes in organ building, which required the organ focus on earlier historical organ literature. The company became the Aeolian-Skinner Organ Company in 1932, with Harrison and other company leaders forcing Skinner out of the business eventually. While Aeoline-Skinner organs are often excellent organs, they have a different character than pure Skinners. Historic Trinity’s organ, completed in 1931, was one of the last fine instruments in the pure Skinner tradition. Skinner attempted to reform his own company, but his attempts were fraught with problems as taste turned away from his orchestral style of building. He would not change. He was out of the organ building business by 1951. He lived on sad and forgotten until 1960. The source of this information is “The Life and Work of Ernest M. Skinner”, the definitive biography of Skinner by Dorothy Holden. It is dedicated in part to her husband, Ken Holden, who helped with research for the book and is completing the organ restoration project at Historic Trinity. Skinner’s work went out of fashion after World War II. The “Organ Reform Movement” encouraged the replacement of older romantic instruments with organs which imitated those of the 18th century. Most of Skinner’s fine instruments were replaced or rebuilt beyond recognition. Interestingly, these were the years when Historic Trinity’s membership was rapidly declining. Because money was often in short supply, no changes were made to the organ. As a result, it remains a pristine example of the best of early 20th century organ building, and the envy of many congregations which replaced their Skinner organs. The 1980’s and 1990’s were a watershed in how Skinner’s organs were viewed. The view which had generally been held from the 1940’s until the 1980’s was that Skinner organs were too romantic and unable to handle organ music from before 1800. By 1990, most organists were recognizing that Skinner’s organs were remarkable for their loveliness of tone and smoothness of speech. In fact, Skinner is acknowledged as the finest American organ builder of the early 20th century. Sadly, most of Skinner’s organs had been replaced or altered beyond recognition by time his work was appreciated. St. Columba Episcopal Church, 1913, Manistique and Jefferson. This smaller instrument has had solid state equipment added to the console which allows the organ to play itself as pre-programmed by an organist. This device lets the organ be used even though the congregation has sometimes been unable to keep an organist on staff. First Unitarian, Cass Avenue, 1919, relatively early in Skinner’s career, the builder was still primarily concerned with orchestral imitations, now in poor condition. Jefferson Avenue Presbyterian, 1924, one of the largest, best Skinners in the Midwest, donated by Dodge family. Masonic Temple, 1926, Scottish Rite Cathedral, a large organ rarely heard by the public. Rarity – Skinner organs are rare, but organs of this size and era (considered to be Skinner’s apex) are extremely rare. Superb Quality- A large Skinner organ and its action can contain tens of thousands of precision moving parts and mechanisms, many miles of wiring, and represented the pinnacle of craftsmanship, engineering, and ingenuity for their era. While they were among the most expensive of instruments, they were famous for an almost fanatical attention to detail, quality, and reliability. Design – making a very small yet effective three small manual organ is one of an organ builder’s greatest challenges. Skinner outdid himself here with a plan of elegant simplicity and sophistication. Setting – there are a few situations where organ and architecture fit so perfectly – like hand and glove. Musically and visually the organ is thoroughly appropriate to its setting. Public Appeal – in the last few years, Skinner organs have become objects of major attention by organ scholars, authors, enthusiasts, historical societies and audience. The main organ screen in the nave of the church and the echo organ screen in the chancel were made by the Irving Casson Company of East Cambridge, MA and crafted by Mr. Kirchmayer of Oberammergau. Pipes in both facades are decorative only. Both screens incorporate the vines and branches motif used throughout the building. David – was the writer of the hymn book of the Old Testament, the Psalms. He was noted for his music and his faithful worship of God. St. Ambrose – was one of the greatest and most loved church leaders. He was born about 339 A.D. in Gaul, son of a Roman official. He became a lawyer and governor of a province with a seat in Milan, Italy. When the Bishop of Milan died, the people of Milan demanded that St. Ambrose become bishop even though he had not yet been baptized. He was then baptized, ordained and consecrated as Bishop in December of 374 A.D. The new bishop faced serious problems of paganism and Arianism in the church. St. Ambrose became a famous preacher and strong defender of orthodoxy. He was the first to introduce metrical hymns in the church. Some of his hymns are still sung in the church today. St. Gregory – St. Gregory was born in Rome in 540, and died there September 3, 604. He was the first and greatest of 16 popes named Gregory. Born into a patrician family, he devoted some of his wealth to establish a monetary in Rome and in other places in Sicily. He became a monk and later was elected pope. He was the first monk elected to the office of the pope. Pope Gregory reformed the administration of the vast estates of the church. Large sums from this source were spent for those suffering from war, pestilence, famine, and imprisonment. His writing were directed to fostering the Christian life and the formation of pastors for pastoral care. His directions for the office and duties of a bishop became standard throughout the church. St. Gregory was a leader in church music so that today the Gregorian chant is known as his legacy. Plumhoff – Carl Conrad Plumhoff, 1841-1907, was an ordained teacher, taught grade school at Historic Trinity Lutheran Church, served as a high school principal, Sunday school superintendent, and was organist director at Historic Trinity. He was married to Anna Marie (Haustwirt). Adoring Angels – the angels along the bottom of the organ screen are adoring angels in worship to the Lord. Taste in church music has changed over the years, so many Skinner organs were junked or altered beyond recognition. Fortunately, Trinity did not have money to change the organ. It remained an aging snapshot of how the Skinner Organ Company left it in 1931. In recent years the organ has been undergoing major restoration, and at the same time maintaining the integrity of the original organ. Hopefully, this organ will serve as a fine example of romantic organ building for generations to come. By the late 1980’s, with Karl Osterland as Historic Trinity’s Music Director, the organ was showing its age. The organ had never had a thorough cleaning. Most curious of all, the wiring of the smallest pipes had been cut. This apparently occurred early in the history of the instrument by a tuner who was too lazy to fuss with the tiny pipes. While still playable, the organ was operating with original wiring and leather parts. The usual life of such components is 40 to 50 years. It is a testimony to the quality of the materials and workmanship that the instrument was still working at all, nearly 70 years after its completion. Also, at the time, Historic Trinity, too, was considering a large expansion and alterations of the organ. At that point, Jack Bethards, president of the Schoenstein Organ Company in San Francisco was engaged as a consultant. Mr. Berthards was also the consultant for the Mormon Tabernacle organ renovations in Salt Lake City and many Historic Trinity’s organ as one of the finest surviving examples of a medium-sized Skinner organ, that it should NOT be changed but simply brought back to its original luster. That has been the guiding principle behind the entire restoration. The congregation should be proud to have supported a true RESTORATION of a fine, historic instrument, not a rebuilding or renovation. 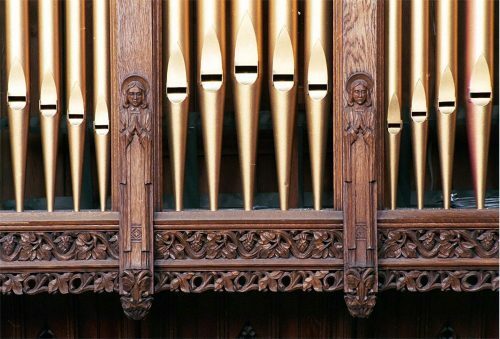 Consultation – in the early 1990’s, Historic Trinity realized that its historic instrument was in need of major restoration. The consultation report by Jack Bethards, a nationally-known expert on Skinner organs from San Francisco, was commissioned and agreed upon. The report recommended a historical restoration, not a renovation. The rest of the work has been true to that concept. 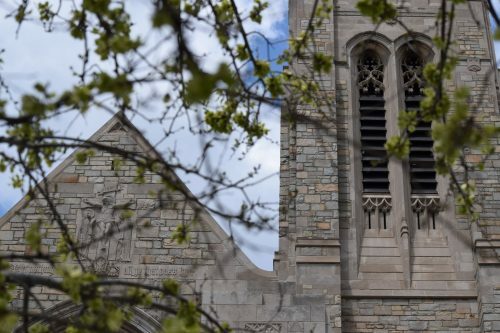 Blower – the organ blower, which is located in the lower level of Otte Hall, failed soon after the consultation. It was rebuilt. This was planned as mechanical work only which would not affect the sound of the organ. However, to our great surprise the organ immediately sounded brighter and responded more quickly just from getting the wind supply stabilized. Swell – the Swell Division is controlled by the top manual (keyboard) of the organ. It is the largest division on our organ and was in the poorest condition. Therefore, it was prioritized. As part of this phase, wind pressures were increased to that Skinner had intended. Great, Pedal and Choir – these were the rest of the pipes which are controlled by the center and bottom manuals and pedal. This involved more rewiring and releathering, reactivating many dead notes. This was done, approximately, in 2002. Chimes – the old set of chimes was not original to the organ. The set was added later and was never of the same quality as the organ. By the 1990’s the dampers on the chimes had deteriorated to the point that the hammers were striking metal, giving a clunky sound. The mechanism on several of the chimes had stopped working. A national search located a set of period Deagan chimes of the type which was preferred by Skinner. These were installed in 2004. Console and Echo – the fours stops in the Echo Division, located to the left of the chancel, are being re-leathered. This pipework was in the best conditions so was left until last. The console, on the other hand, was in poor condition (the console is the part of the organ that the organist actually plays). The console was still functioning on the original cotton-wrapped wire, even though the cotton was long gone. The console itself was taken apart, cleaned and repaired. The wiring to the top octave of several stops had been cut many years ago, leaving most of the smallest pipes on the silent organ. Choir Division – final phase to be completed was in the fall of 2014, which was the re-leathering of the choir division keys. All of the pipes and controls of the organ are working at the same time for the first time in decades. The final phase was completed by Kenneth Holden of the Holden Pipe Organ Company of Ferndale, MI.